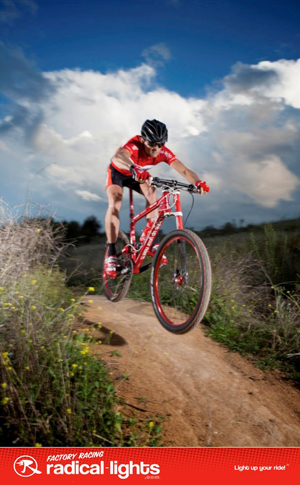 Radical Lights Factory Racing - Powerful Lighting Systems for MTB, Cycling, Mountain bike, Adventure, etc. 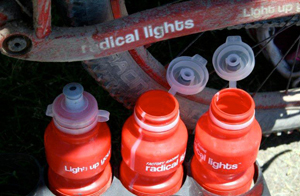 what Radical Lights Factory Racing is the newest endurance team on the Australian mountain biking circuit with world and national category champions. 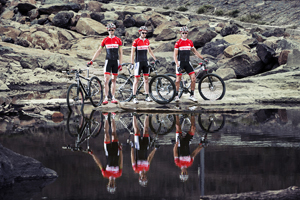 why Team focus is on endurance events at 100km, 6hr, 8hr, 12hr, 24hr and multi-day marathon stage racing. The team will campaign the all new Podda, RADXL and Chutta this season. It has been a great year for Andrew, with podiums in a range of enduro and ultra-enduro events including overall podiums in 6x6, 8hr, 12hr, 24hr, stage races and 100 mile races. Jason is an experienced and highly decorated 24 hr Solo racer. He is the current World 24hr Solo Champion his category. 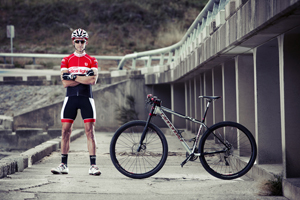 Jason has represented Australia at the World Solo 24 hr championships on three occasions, twice in Canada. In 2011 Jason was also in the GC winning pair for Terra Australis, and won his age category at both the National and Australian 24 hr solo champs. 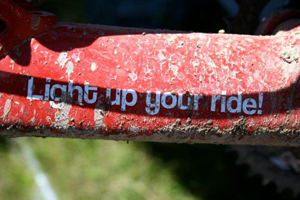 Sponsors We thank all our team sponsors, without which we would not be able to do what we love; ride bikes, FAST!